When a head-on accident occurs, the speed of each vehicle is combined at the point of impact. What this means is that if both vehicles are traveling at 45 miles per hour, the force created by the impact would be 90 miles per hour. This amount of force can cause serious injuries and possible death for the occupants in those vehicles, along with significant amounts of property and material damage. In fact, according to the South Carolina Department of Public Safety there were a total of 757 injuries, 41 deaths, and 1,065 instances of damaged property in 2014 as a result of wrong side or wrong way accidents. If you or someone you love has been injured in a head on accident and was not at-fault, at the law offices of Harbin & Burnett, our auto accident attorneys can help to fight for the maximum compensation benefits for those victims. Find out more,by calling us today at 1(888)821-0247 and let us help with your compensation claim. A head-on accident is defined by two vehicles moving in opposite directions colliding bumper to bumper, there may be many causes of these accidents. Often, these accidents are caused purely due to driver's negligent actions. Therefore, all drivers must do their part to reduce the number of accidents by practicing defensive driving habits and abiding by all traffic laws. Unfortunately, even the most careful drivers are susceptible to head-on accidents. As previously mentioned, these accidents may cause extreme damages, injuries and possible death. According to statistics by the National Highway Traffic Administration, approximately one out of every 50 motor vehicle accidents in the United States is a head-on collision. As most injuries are caused by a great force, the force generated by two vehicles in motion is great enough to cause a large amount of damage and injuries to all the occupants involved. 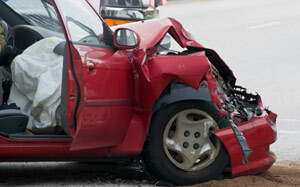 Following any type of accident, our law firm recommends seeking the attention of a medical professional. In some instances, injuries to the brain are not apparent until hours following the accident; these injuries may have life altering effects to those individuals. Furthermore, getting medical attention will provide the necessary medical documentation needed to formulate a case against the negligent and injury-causing driver. The attorneys at Harbin & Burnett believe that if you or a loved one has been injured in a head-on collision, the victim may be eligible to receive compensation for his or her losses and damages including; lost wages, medical expenses, property damages, pain and suffering, and funeral expenses. We also serve clients in the surrounding cities, towns, and suburbs of the above locations. If you would like to discover if we are able to assist you with your case, or to schedule your free no obligation consultation, we invite you to contact us today at 1-888-821-0247, or begin now by completing our Free Case Evaluation form located on the top of this page. A member of our intake team will then be in contact with your shortly.